Florida Atlantic Football Coach Charlie Partridge discusses the Owls' 20-14 overtime loss to #8 Florida on November 21, 2015 in The Swamp. What is really frustrating and hurts is the continuing reality that FAU cannot find a way to win! You have to play four complete quarters and not let the opposition back in the game. 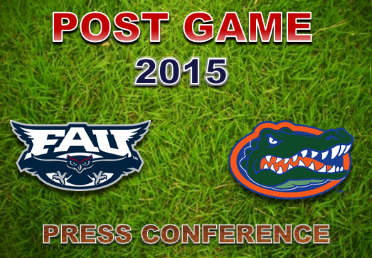 This is the downfall of FAU in 2015 and it is a shame that the Owls cannot put it all together consistently.